A recent debate in the House of Commons has highlighted the behaviour of Lynden Scourfield, Bank of Scotland Corporate’s director of high-risk for South-east England. The debate followed a BBC Radio 4 ‘File on 4’ investigation into the scandal allegedly perpetrated by Scourfield (the ‘File on 4′ programme, which I helped to make, was first broadcast on Radio 4 on May 26th 2009). The parliamentary debate, held in Westminster Hall on June 2, 2009, focused on the way in which Scourfield allegedly forced scores of BoS’s business customers to use the services of self-styled “turnaround consultants”, Quayside Corporate Services, a firm belonging to former Lombard North Central executive David Mills. Directors of small and medium-sized firms affected by the scandal insist that they were given little choice other than to appoint Quayside personnel to their boards. Some willingly acquiesced, assuming that advisers recommended by the bank must be reputable and would know what they were doing. Others did so under duress, having been told all their funding would be removed unless they acquiesced. Once Quayside executives were in the driving seat at the affected firms, the fun and games really started. The presence of Quayside personnel as consultants or as directors on the customer firms’ boards was seen by the Bank of Scotland as sufficient grounds to ratchet up the lending, irrespective of the customers’ financial health or their ability to repay. In some cases, the new lending reached truly astonishing proportions. For example, the loss-making aviation business Corporate Jet Services (parent of Club328 and Euromanx) was lent £113m, despite having an overdraft facility of just £800,000. Research by a forensic accountant hired by the BBC established that all but £7.4m the £113m that was lent to CJS “disappeared”. What remained of the company’s assets after its collapse was purchased for an initial consideration of just £7 by Quest Aviation Services, a “phoenix”, off-the-shelf company whose other other three directors (Andrew Jackson, Tony Shakesby and Robin Southwell) had been responsible for driving CJS into the ground and were close associates of Mills. Neither Bank of Scotland Corporate nor Quayside did much to restore the firms with which they became involved back to health. Indeed, Quayside’s main preoccupations seem to have included siphoning out cash, misappropriating corporate assets and sabotaging the businesses. The goal appears to have been to render the firms unviable and force them into administration. In almost every case, no accounts were filed at Companies House subsequent to Quayside becoming involved. If accounts were filed, they were usually qualified (unless the auditors were Brett Adams). Within hours of the administrations occurring, Bank of Scotland Corporate and appointed administrators allowed off-balance-sheet vehicles controlled by Quayside, or its affiliates (and sometimes other firms) to take control of what was left of the companies’ assets through pre-packaged administrations and administrative receiverships. The paper trail at Companies House suggests that a number of high profile professional services firms, including ‘Big four’ accountants PWC and KPMG and established law firms such as Burges Salmon were happy to assist HBOS with the alleged scam. 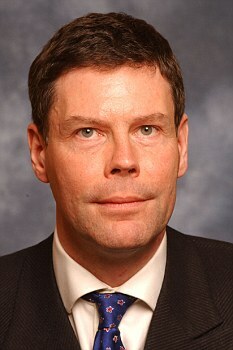 Scourfield, who came up through the asset-backed lending side of Bank of Scotland, was fired by the bank in April 2007. The bank has since claimed this was because of “unauthorized” or “over-generous” lending. However the idea Scourfield was acting alone is implausible — he is understood to have reported to BoS Corporate managing director Paul Burnett, who was eased out by the bank in early 2008 (and who ended up working as finance director of one of David Mills’s companies! ), and to former head of corporate Peter Cummings, who was eased out later that year. Some sources have speculated that the Edinburgh-based bank may have chosen to hang Scourfield out to dry in order to protect his seniors. A parliamentary debate into the scandal was held in Westminster Hall on June 2nd, 2009. The debate, fully reported in Hansard, (see column 43WH) was instigated by Conservative MP for South-East Cambridgeshire, James Paice — who like a number of other MPs, is genuinely outraged by the scandal, and is representing the interests of constituents whose business were destroyed as a result of the actions of Bank of Scotland Corporate and Quayside. Outraged at the way some of their constituents had been treated by BoS and Quayside, Paice and five other MPs sought a meeting with HBOS’s former chairman, Lord Stevenson (pictured right), in December 2008. At the very least, they expected the peer would provide some sort of explanation of what had been going on. But Stevenson didn’t even show up. Instead, Stevenson passed the buck to Philip Grant, Lloyds Banking Group’s chief operating officer for wholesale banking, a man who was (astonishingly) earlier this year appointed president of the Chartered Institute of Banking in Scotland (CIOBS). Like everyone else at HBOS/Lloyds, Grant is firmly in denial. In a letter to the MPs dated February 2009, he claimed there was “a lack of evidence of direct personal benefit on the part of Mr Scourfield from his relationship with Quayside.” The bank apparently reached this conclusion following “an extensive internal review” after Scourfield left..
One certainly wonders how thorough the review, which I believe was carried out by accountants PwC, actually was. Evidence suggests that Scourfield was receiving no end of benefits in kind and other inducements in exchange for lending to Quayside and Quayside-controlled businesses. So far, it’s proved impossible establish whether other HBOS executives such as Burnett, who declined to be interviewed for this article, were receiving kickbacks too. Paice told parliament that he had received a letter alleging that the P.A. to the owner of the Birmingham-based golfing equipment company, Seoul Nassau — which was advised by Quayside and been generously lent to by Scourfield, and which went bust owing BoS £34m in August 2007 — used to “deliver a briefcase full of cash to Mr Scourfield to assist the loan”. Another Quayside-controlled company, Mezzanine Group, picked up the £1,000 plus tab for Scourfield’s 42nd birthday celebrations at the Attica nightclub in London. Scourfield is also understood to have been given flights on private jets and scheduled flights to destinations including the West Indies, Portugal, Miami, Las Vegas, Chicago, the South of France and Thailand. Ahead of a visit to the gaming tables in Las Vegas he was, allegedly, handed £10,000 in cash by a Quayside-controlled company to which he had lent. Quayside-controlled Seoul Nassau is alleged to have regularly given Scourfield top-of-the-range sets of golf clubs and is also said to have picked up his bills at a notorious Birmingham lap-dancing club. In his letter to MPs Grant sought to adopt a “divide and rule approach” to the scores of business-people across the UK whose lives and businesses were destroyed by the scandal. He did this by offering varying amounts of compensation — or in some cases no compensation — in the hope of buying their silence. However, the victims told him to get lost. They tell me they have no intention of to accepting Lloyds’ “hush” money unless and until the bank accepts wrongdoing. In conclusion to the debate, James Paice (pictured left) and the other seven other Conservative MPs made clear that the authorities must launch a “full and exhaustive” investigation into the whole, disgraceful scandal. “Why was HBOS the only bank not to work with Institute for Turnaround Specialists, given that Quayside was not a member of the institute? If everything was satisfactory, why did HBOS stop using Quayside? “Finally, should there not be clear rules that if a consultancy is involved with a business that goes down, no company or individual involved with the consultancy should then benefit by purchasing the company or its assets, which clearly appears to have happened? “I hope this debate demonstrates to the minister that he should invite the regulatory authorities to investigate the whole matter thoroughly. The public now own most of HBOS, and, although there were many reasons for its decline, it seems clear to me that some of its losses, probably hundreds of millions, stemmed from malpractice at the Reading office. “My interest derives from my constituent Mr. Andrew Reade who has been discommoded in connection with his business Keenets by the gross failure in governance at HBOS and by its associate Quayside in the manner that has already been described. “It is simply not credible to characterize Scourfield as some autonomous rogue banker and leave the matter at that. Loans of that order must have been sanctioned and remitted at a much higher level—in this case, at HBOS headquarters in Edinburgh by Mr. Scourfield’s immediate superior at least. “Lloyds has pretty well dismissed all criticism and paid lip service to cleaning up the act of its acquisition HBOS. That simply will not do. It is unedifying in the current climate of distrust in greedy, cynical bankers for Lloyds Banking Group to behave in that way. “It is evident that Mr. Lynden Scourfield had a close relationship with Quayside’s Mr. Bancroft and Mr. Mills. “What remains opaque is the extent to which those now liquidated companies were acquired by undertakings associated with Quayside. From his Keenets experience, my constituent suggests that the Quayside-associated companies Seoul Nassau and Speyside should be explored by the FSA in that regard. Given the apparent murkiness of the situation, there is every reason for the FSA to undertake a comprehensive investigation, and I urge the minister to use his good offices to ensure that that happens. “The control systems have been changed and strengthened, and HBOS has written off a considerable amount … I have also been advised that the FSA continues to monitor HBOS, that it considers carefully any allegations of fraud by an authorized firm, and that it works closely with other law enforcement agencies to protect consumers from financial crime. I add, however, that it is important that any victim of an alleged fraud should report the matter to his or her local police force. “Following the Hon. gentleman’s representations, I shall write to the FSA, enclosing a transcript of this debate, to seek assurance that all appropriate consideration is given to these matters. I shall also ask it to write to me and the hon. gentleman to outline the FSA’s role in dealing with this affair and the approach that it takes when there may have been financial crime. I also undertake to write to other hon. members who have attended the debate. If either the FSA or the police can be bothered to properly investigate this matter — and, contrary to what we heard from Pearson during the debate, they have been asked to do so repeatedly** — they should start by getting to the bottom of the relationship that existed between Mills, the owner of Quayside, and Bank of Scotland Corporate. Why did Bank of Scotland Corporate allow David Mills and his associates to run riot through its customer base? Why was the mere involvement of Mills and his associates seen as grounds by Bank of Scotland Corporate to lavish new loans on customer firms, even those that were technically insolvent? Who owns and who controls the Sandstone Organisation, an off-balance-sheet vehicle that took control of many of the BoS assets that Quayside had destabilised? Why do so many of the companies of which Mills is a director, including the Aim-listed surveillance company Petards Group, file their annual accounts late, fail to file any annual accounts, or else have to restate their accounts? Why do so many of Mill’s companies use Brett Adams as their auditors? Has Her Majesty’s Revenue & Customs ever investigated Mills and his new vehicle Core Enterprise Management group, a company incorporated in April 2008 and where EADS UK chief executive Robin Southwell is chairman? Has HMRC ever investigated other companies owned or part-owned by Mills including Quayside Corporate Services (where Southwell remains a director), Mint Partners or Clode Retail Finance? Has HMRC ever investigated the multiple “phoenixing” of companies associated with Mills and his associates in which both the bank and HMRC were significant losers? Why did the Aim-listed “investment bank” Interregnum / Parkmead, of which former energy minister Brian Wilson and Tory MP Ian Taylor are/were non-executive directors, acquire Mill’s Quayside Corporate Services for £6m in February 2006 only to sell it back to Mills for £630,000 in November 2007? Given that two Quayside consultants — Tony Cartwright and Michael Bancroft — embezzled £1.5m from the publicly-listed group Ritz Design Group PLC in 1990-91, an act which led to them being forced to step down as Ritz’s chairman/chief executive and finance director respectively, why did BoS consider them ‘fit and proper persons’ to impose as directors of its own business customers? Who within Bank of Scotland Corporate was authorising Scourfield’s loans? Was it his immediate boss, managing director of BoS Corporate Paul Burnett, who was “eased out” of the bank in mid-2008 only to resurface as a director of several firms associated with Mills and his associates, including Pareto Golf, Marn Productions and Nordic Saunas? Or was it people above Burnett such as head of corporate Peter Cummings? How aware were other BoS Corporate executives — including George Mitchell, Ian Robertson, Hugh McMillan, Eddie Morrison, Alistair Webster, Tom Abraham, Mike Wooderson, Ian Robertson and Tom Angus — of what was going on? Could Colin Swanson, BoS’s director of structured finance, who committed suicide in the Millennium Hotel on London’s Grosvenor Square in March 2007, have been responsible for signing off Scourfield’s loans? Why was Mike Ellis — a man with a predeliction for keeping the HBOS board in the dark about internal abuses (see Paul Moore’s evidence to the Treasury Select Committee) — brought back as HBOS finance director? Ellis resigned as finance director in December 2004, about a year after the alleged fraud gained traction. In January 2005 he was replaced by Mark Tucker (who lasted three months). Tucker was replaced by actuary Phil Hodkinson. Then Ellis resurfaced as HBOS’s group finance director in April 2008, a few months before the bank imploded. If the FSA has already investigated BoS’s Reading Branch, as the Treasury minister claimed in the parliamentary debate, what did the regulator find? Was this the sort of investigation where bankers’ words were taken at face value? Did it bother to question any of the corporate customers of BoS’s Reading branch, some of whom requested police involvement to keep Quayside personnel off their premises? Did the FSA/PwC examine the track records of Mills, Cartwright and Bancroft? We need to see a copy of its findings. Were certain insolvency practitioner complicit in the alleged fraud, making it easier for BoS, Mills and/or Mills’ associates to take control of customers’ assets through the alleged abuse of pre-packaged administrations? Were HBOS auditors KPMG so stupified by the fees they were receiving from HBOS (some £100m in audit and non-audit fees since 2000) that they were turned a blind eye to fraud? Did the FSA fail to properly investigate the BoS Reading situation because it feared that bringing this into the open might destabilise the wider HBOS group, where similar “irregularities” are known to have occurred? The FSA investigation referred to by Pearson in the House of Commons debate was carried out at a time when the FSA was suffering from an extreme form of “regulatory capture”. In the period 2000-08 the regulator was labouring under the misapprehension that bankers had integrity and knew what they were doing. The regulator was also focused things like “ensuring systems and processes were correctly defined” rather than on “challenging business models and outcomes” — and the probe into alleged corruption allegedly carried out by PwC was probably a somewhat perfunctory affair. Now Sants has the opportunity to prove that he meant what he was saying. A great many Britons would find it unconscionable that, while taxpayers are having to stump billions to keep a basket-case bank afloat, some of the apparent beneficiaries of its earlier largesse continue to live high on the hog — with their overseas properties, private jets, jumbo yachts and extravagant, Coke-fuelled lifestyles untouched. ** In December 2007, Paul and Nikki Turner, owners of Cambridge-based music publishers Zenith, reported their findings about Bank of Scotland Corporate and Quayside to the fraud squad. Peter Savage from Cambridge Fraud Squad visited them and examined the evidence. His conclusion was that the bank itself was the main victim of the fraud and that the associated companies (i.e. the bank’s customers) were “collateral damage”. He told the Turners that no action could be taken unless the bank itself requested a fraud squad investigation. Savage contacted HBOS regarding this and the bank replied four months later saying it didn’t believe there was anything to investigate. * The £925m figure was formally confirmed by sources with close knowledge of this matter in February 2010. The original £250m figure used by BBC ‘File on 4’ in May 2009 was a conservative figure based on an examination of a small sample of the companies that were allegedly defrauded by BoS Reading. HBOS’s former board of directors who include Lord Stevenson (aka Baron Henry Dennistoun Stevenson of Coddenham), Sir James Crosby, Andy Hornby, Peter Cummings, Mike Ellis, Jo Dawson, Dan Watkins, Phil Hodkinson, Colin Matthew, Mark Tucker, Phil Hodkinson, Charles Dunstone, Sir Ron Garrick, Sir Brian Ivory, John MacLean, Coline McConville, David Shearer, Kate Nealon, Richard Cousins, Anthony Hobson, Karen Jones and Sir Bob Reid have obviously done absolutely nothing wrong. Yet another brilliant piece, Mr Fraser and I’m not about to comment on spelling or grammar (see effect/affect – James Millar – The Stonewalling and crocodile tears must stop). Perhaps, if people were to pay more attention to the implications revelations like these highlight, they might think twice about placing their wealth in the hands of persons who have no integrity, ethics or moral standards. Truth, Trust, Honesty and Integrity were the pillars of the banking sector. What price now for a banker’s signature on the back of your passport photo – perhaps a fiver in a brown envelope? Could you clarify: Is this David Mills in any way related to the David Mills of Berlusconi/Tessa Jowell fame, or is it just an unfortunate coincidence? Thanks. to more than four years in prison for corruption over accepting a $600,000 bribe from Italian prime minister Silvio Berlusconi in 1997. It is just an unfortunate coincidence. I am biased as Ian Fraser is a personal friend but encouraged that journalists like him have the nerve and tenacity to insist on pursuing apparently grossly irregular practices such as these (and on the part of almost everyone involved). There seems to be no transparency or accountability anywhere and it doesn’t smell nice. This is a shocking affair and no doubt the directors and shareholders of the Boots company will or should be interested in this terrifying tale. How they could have appointed Andy Hornby, the CEO who ran HBOS, as their new CEO is an utter mystery to me! Let’s hope Mr Hector Sants will deal with this as a matter of urgency and take all those responsible to face the music, including the hapless Mr Hornby and the utterly shameless Dennis Stevenson who presided over HBOS and drove it into oblivion. Well said Peter. The worlds of business and finance need more people like yourself who are prepared to speak out against this sort of obscene behaviour. What’s beginning to bother me about HBOS is: where were the auditors KPMG all the while? They presumably thought everything that was going within the bank was tickety boo, did they? Myself and my companies are victims of corruption involving one of the joint administrators of a failed bank. The abuses are as blatant as they are well evidenced. We suspect what we have uncovered, and are about to expose, is merely the “thin end of the wedge”. There is seemingly no end to the number of people who are seeking to profit from other people’s misery, and no apparent limit on the seniority of people who are willing to stoop so low in order to further feather their own nests and those of their families. Scandalous! An what did the FSA have to say about the allegations….”Ah…well….we can’t get involved in that, Administrator’s are not really regulated … you should try the Institute of Chartered Accountants”, or words to that effect. Probably more scandalous! I am very interested in this report because I have had business dealings with one of the administrators mentioned, Simon Glyn of Vantis. If Ian, or any of those who have commented on the piece who seem to have personal knowledge of the situations and people concerned has any specific information about Mr Glyn’s conduct as an insolvency practitioner that they would be willing to share, I should be grateful if they would contact me – markbishopuk at gmail.com. This is really great writing / journalism – amazing not to read this in the nationals. This is all new stuff to me. I was copied in from the latest article on my website re the credit crunch aftermath. Being really cynical, it could of course be a side-reason for the merger rather than a factor against it. Now we have Dubai as a further possible “sandstorm” and reason for Lloyds share falling below the theoretical after-rights price. Can anyone give more info on Sandstone and the off-balance sheet speculation? Thank you ,Thursday read your great Ian Fraser – Business and Financial Journalist Ian Fraser … blog ,your blog have a lot of very important knowledge and information for business ethics cases ….